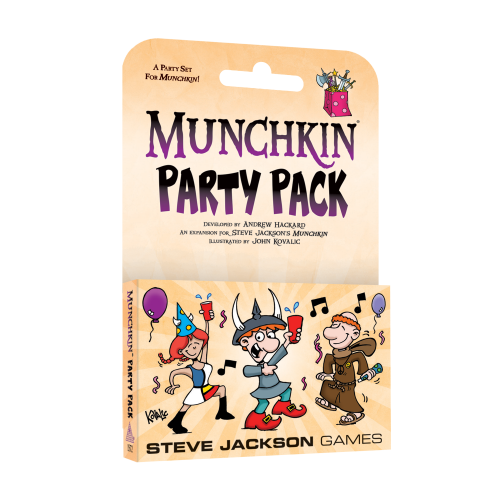 Daily Illuminator: Preorder Munchkin Party Pack Before The Party's Over! November 5, 2018: Preorder Munchkin Party Pack Before The Party's Over! We'll be releasing Munchkin Party Pack later this month, but it's not too late to tell your game store that you want a copy! We've made a preorder form that you can download, fill out, and take to the store so you don't have to rely on their memory. If you don't have a store or you don't want to take the chance, you can also preorder from Warehouse 23. Note: everything in that order will be held until Munchkin Party Pack is available.